The Importance of Earnest Service » Blog Archive » Service of Storage: Good or Bad Idea? « Service of Congestion Pricing: Positive or Negative Impact on NY Metro Area? I heard David Levine interview author Gretchen Rubin about her new book, “Outer Order, Inner Calm: Declutter and Organize to Make More Room for Happiness,” at a Science Writers in New York event. Levine is co-chair. 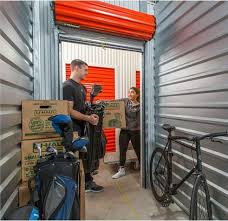 During the Q and A, the topic of storage–that I mentioned in passing in a recent post on moving–came up. As I wrote, I’ve moved from substantial to small spaces. To counter my groaning about giving away, selling or tossing yet more stuff friends and family have suggested storage. Figuring that it’s doubtful that I’ll be moving to larger apartments or homes anytime soon, I resisted tucking away things in a storage unit. It didn’t make sense, unless the bin was in the basement of the apartment as at times it has been. I’m either in the minority or folks conducting the storage industry’s forecasts are off. SpareFoot, reporting on the self storage industry, calculates that the US has 50,000+ self storage facilities or 2.322 billion square feet of rentable space. As I’ve written previously, I believe in storing winter or summer clothes at a dry cleaner’s to address miniscule closet space. Some dry cleaners store suitcases. That makes sense if you own a large one and live in a diminutive studio. Do you store things? What? Is it expensive? How often do you visit your belongings? What do you expect to do with them eventually? This entry was posted on Monday, April 8th, 2019 at 10:06 am	and is filed under Moving, Storage	. You can follow any responses to this entry through the RSS 2.0 feed. You can leave a response, or trackback from your own site. Never paid to store. Depends on your circumstance. If funds are tight, would sell the stuff. It is only stuff. Many who move to Florida sell everything before moving, and buy new furniture here. Debbie wrote on Facebook: I pay $50 a month to keep season items that don’t fit in my apt. I use my vertical space. Storing certain “just in case” items is a luxury BUT I do take inventory at least once a year & discard/donate what hasn’t been touched in a while. I can understand why a person who lived in the north would sell all but perhaps their dishes, glasses and silverware because the furniture and upholstery that fits well with the light of New England, say, wouldn’t be as happy in the sunny Florida climate. Plus the cost of moving is greatly reduced. I believe you would weed through your storage bin. I wonder how many do that religiously? I am the worst example…after we sold our house at the shore, we stored some furniture and other items for years. After my husband passed away, I revisited the expense and decided I had to do something. Finally downsized into the cheapest unit available and use it mostly to store clothes. The money spent all that time was ridiculous and could have funded a wonderful vacation. We should have known better…never again. Whether stored under your own roof, or a companies, or someone else’s, it’s awfully difficult to give up all that memorabilia… And stuff you were going to use one day! Very difficult. You may have thought that you’d get another weekend place or that someone you are close to could use the furniture and they weren’t ready to accept it yet. I was 10 when my grandfather died and when my mother was clearing out his apartment I asked if I might have a portrait of my great grandfather who looked down at me every Sunday when we went to my grandfather’s apartment for lunch. My parents didn’t have room for such a big thing and my uncle and aunt stored it for YEARS. They were so polite when we moved into a small apartment on return from living abroad–my husband was in the Air Force–and didn’t bring it up. We eventually moved to a magnificent place with tons of wall space. What was wonderful was that they’d also kept a painting of my mother as a little girl. I live in a diminutive place now but am thrilled to still have these pictures and somehow they fit. I’ve unfortunately had to become very good at tossing things. It is difficult. I still keep a few birthday cards and letters from relatives long gone and have countless cards from Homer for many occasions. At the moment I couldn’t bear to toss them–I’d get rid of tables and chairs first. Loretta wrote on Facebook: No,….no “paid” storage for me, …. but I do have bins in my attic of seasonal items and old photographs. In two apartments we—and every tenant in the co-ops—had bins in the basement the size of a guest bathroom. They were lifesavers to store extra folding chairs and tables we’d use for Christmas parties and we stored papers for my father in one after he closed his office. Those were the days! Loretta wrote on Facebook: Up by us there is storage center after storage center, and I often wonder is it cost effective to keep buying more things than your house/apartment can hold. I guess it is a profitable business to be in today! I imagine that storage is the answer for many a blended family. The conversation might go: “Why should we use your kitchen table? I like mine better.” Solution: storage for the second one. “Do you have to keep all those books?” Solution: storage for the books. And with life being as expensive as it is, a second child no longer automatically translates to a bigger apartment or house. The solution? Storage to make room for the little one. I have been and continue to face whether or not to use storage. 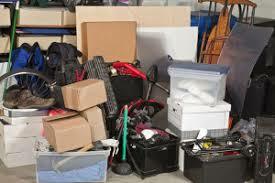 The most immediate and practical storage is either in a basement bin or at the cleaners. Although I find It difficult to part with books I think it is best to donate and share. Storing seasonal clothes at the cleaner is very convenient. It is hardest to determine what to do with furniture especially if it has sentimental memories. 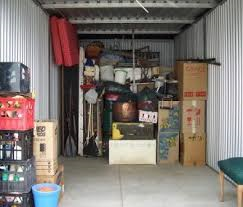 Realistically though given the logistics and cost of outside storage it is not likely to be a wise choice. Younger people have far less interest in things and I am not likely to have more needs for more furniture. It is trying to make these decisions, but reducing one’s possessions is more logical, realistic and economical in many cases. My living room looks like a ballroom dancing school for tweens in the 1950s there are so many chairs lined up with nowhere else to go! To some it would be reminiscent of a furniture showroom on delivery day. I’ve always loved chairs and I have too many tables. I hope for a design epiphany to help me figure things out: Rubber walls perhaps? Storage is out of the question.